For this installment of Classic Ink, we are going to take a look back at an ad for one of the most influential motorcycles of all time – Yamaha’s 2001 YZ250F. When this ad was produced, no one could have envisioned just how controversial the 2000 election would become. In the 1990s and early 2000s, Yamaha was turning out some of the most colorful, creative, and fun ads in the motorcycle business. 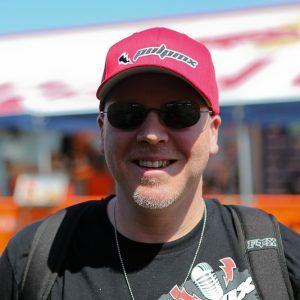 From Bradshaw in a skull cap to Doug Henry in a duster to Jeremy McGrath striking his best Austin Powers, nobody was as creative at pitching motorcycles as Yamaha. Even though it was far more heavy, expensive, and temperamental to live with than any 125, the original YZ250F proved irresistible to the buying public. In 2000, this whimsy showed itself in a series of ads for the all-new YZ250F four-stroke. 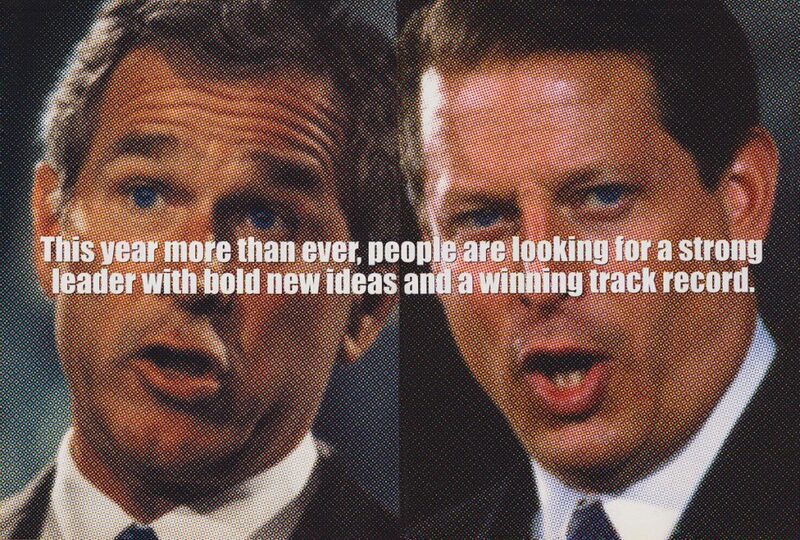 These ads played on the uncertainty surrounding the coming presidential election between George W. Bush and Al Gore. At the time, we were coming out of a highly-controversial eight years under Bill Clinton and people were longing for a little less drama in their presidency. Of course, the 2000 election would end up being one of the most contested in US history, but that summer, no one had any idea that was on the horizon. 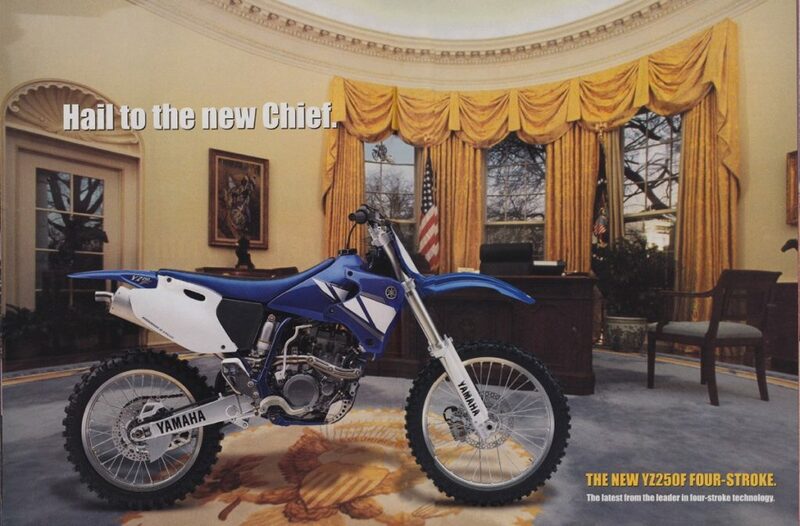 An alternate version of the YZ250F ad placed the new super-thumper in the Oval Office. 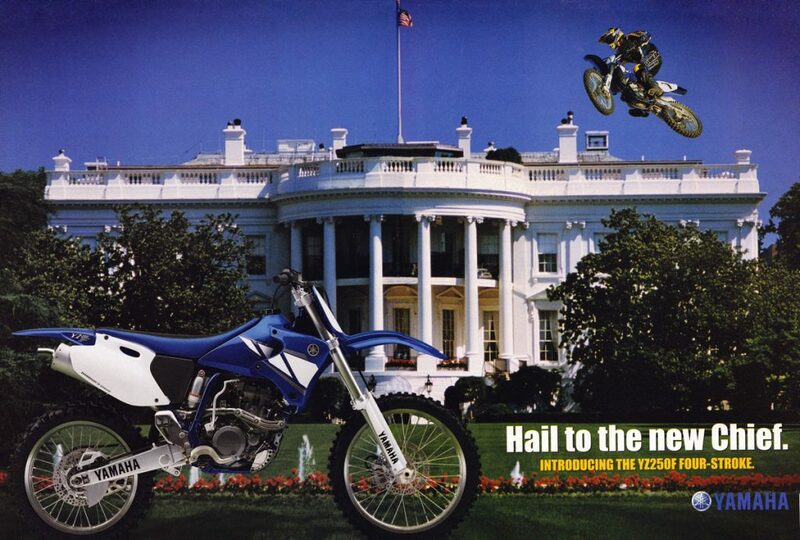 Much like the 2000 presidential election, the introduction of the 2001 Yamaha YZ250F brought with it a great deal of controversy and uncertainty. Up to this point, no one had ever produced a 250cc four-stroke that was even remotely competitive with two-strokes of similar displacement. Even with the 250F’s 100% displacement advantage, it was far from a foregone conclusion that it would be a success. Big-bore four-strokes were beasts; small-bore four-strokes were toys. 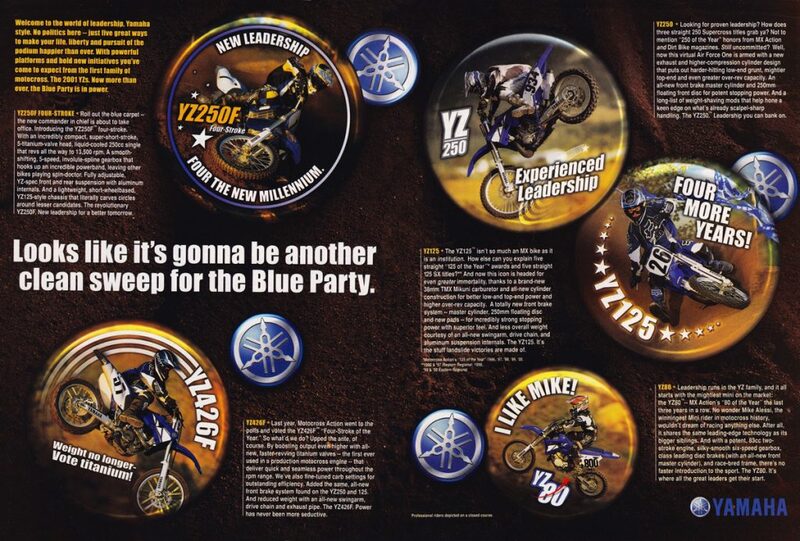 In 2001, the entire Yamaha YZ lineup was all but unbeatable on the track. With the introduction of the YZ250F, that perception was finally put to rest. At 32 horsepower, it was actually less potent than the most powerful 125s of the time, but its substantial displacement advantage gave it torque figures that no 125 could match. 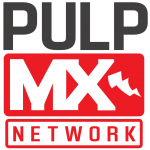 Fair or not, this AMA loophole would allow the YZ250F to redefine the 125 class and transform the sport in a way that the original YZ400F could not. Within a few short years of the YZ250F’s introduction, the two-stroke 125 would be little more than a memory in pro racing. 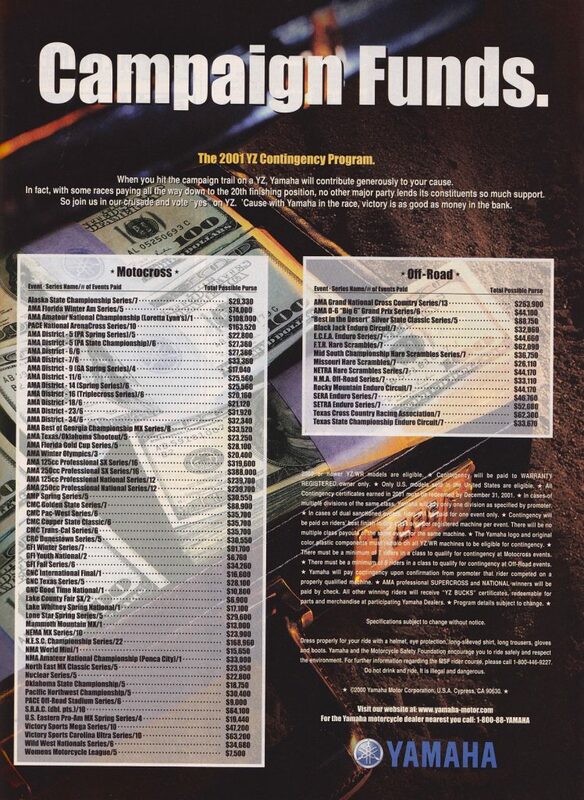 Contingency programs were still pretty lucrative in 2001. 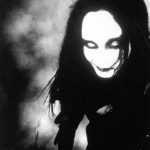 In 2001, the new Millennium kicked off with turmoil and the upheaval of the status quo both on and off the track. While the new Yamaha YZ250F four-stroke was certainly not as consequential to the world at large as a contested presidential election, within our small community, it was every bit the change agent that event would become.